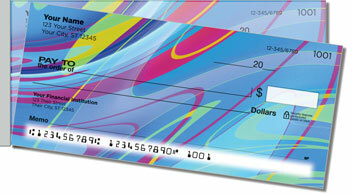 Here's an artistic check selection that screams with excitement and style! Motion and color combine in such a powerful way that we think "Vibrancy" is the only name that truly says it all! 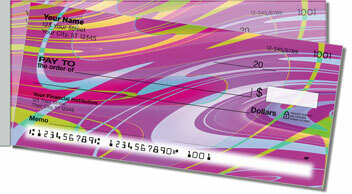 You won't find another set of checks like these anywhere else online. Ours is an exclusive offering that you can also get as a set of matching address labels. Use the two products together to build an unmistakable personal brand. But their stunning graphics aren't even the best thing about these Vibrancy Side Tear Checks. You're going to love the ease with which your completed documents separate from the pad. 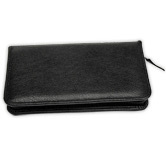 It's all thanks to the short line of perforation on the left, which offers superior leverage for an accident-free tear. 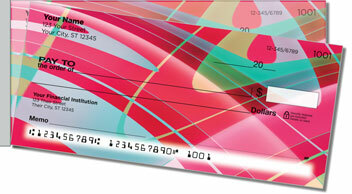 That means fewer voided checks and better value for you! 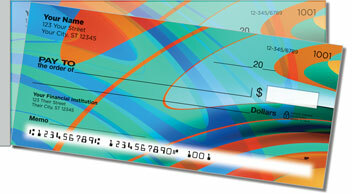 So don't delay -- personalize your very own Vibrancy checks and address labels today!